4. 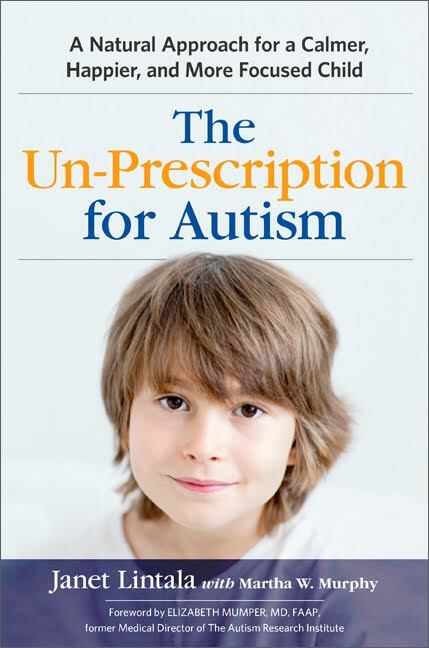 How the Book is Laid Out - Autism Health! I dedicated the book to my wonderful husband, who became both mom and dad to our boys as I was consumed with writing and deadlines. Chapter 1 – I lead you through a new patient visit at my office to figure out what your child needs in terms of support. Chapter 2 – Get organized before you start. Trust me on this one because you know you can do these protocols better once you get some control of your chaos. And I know all about the chaos! Don’t skip this chapter, I’ve put some really funny things in here to keep you entertained while you get organized! Chapter 3 – Digestive Enzymes – You are SO going to want to try them after reading this chapter. I explain it all, clear up some myths and you will finally know why your child is so constipated and can’t sleep! Chapter 4 – Probiotics – Who knew that probiotics had so much benefit for autistic children and adults? This chapter explains it all, plus give the science in a way that’s not overwhelming. Chapter 5 – Antimicrobials – Even if you’ve been doing antifungals for years with your child, you need to read this chapter now! I clear up so many misconceptions and help you use these tools correctly to reach new heights of health on the spectrum. Chapter 6 – Basic Support Protocols – Here is where we take the knowledge from Chapters 1-5 and translate them into an ACTION PLAN for your child. Chapter 7 – Immune Support – Some children and adults on the spectrum struggle with immune dysfunction. They may get sick all the time, or never get sick but have allergies or asthma. This chapter gives the immune support protocols I use at my office. Chapter 10 – Mistakes to Avoid – Here I share the most common mistakes made by my patients, plus the goofs I made in the early days as well. This can save you time and money, and keep you from quitting in defeat by avoiding these common no-no’s. Resources – Supplement brands, websites, find a doctor, training, etc. English version: The link is given on page 204, but DO NOT USE THE PERIOD AT THE END OF THE LINK! My New York City editors could not resist being editors and put a period at the end of the “sentence”, lol. But the period breaks the link and it won’t work if you use it. French version: – The link is given on page 240, and the French editors did not use the period. Yay! Make this journey comfortably yours with different speeds and strategies that I share in the book. Circle the wagons and stay where you are when you need to, but don’t quit! It’s all good – just pick back up again when you are ready to move forward again. These protocols are guidelines, and they are very adaptable for you and your child. Spoiler alert! I have to admit I let my sense of humor come out, and have tucked some funny, sometimes snarky, “Easter Eggs” here and there throughout the book. Feel free to let me know when you’ve found one, and which one is your favorite.